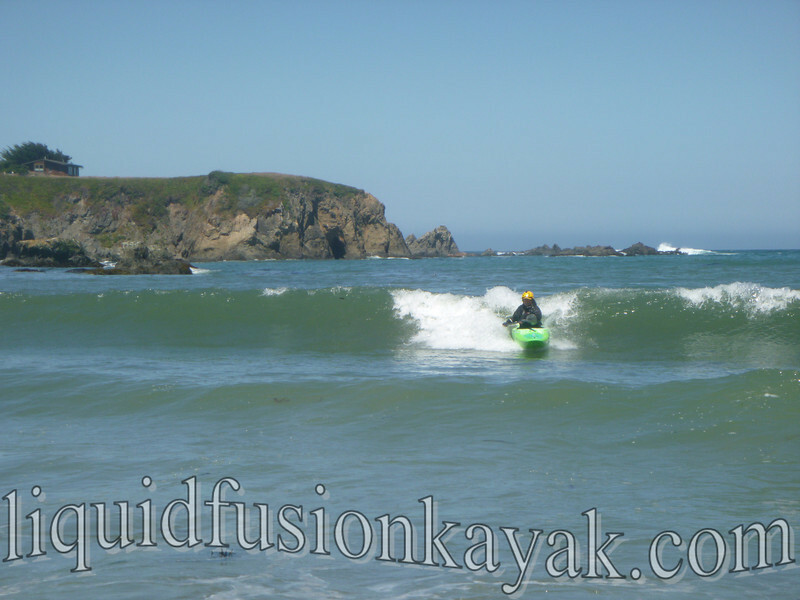 Liquid Fusion Kayaking: Kayaking School is IN!!! School may be out for the summer but Kayaking School is IN!!! And it is way more FUN!!! Why kayaking classes? Improving your kayaking skills will increase the possibilities for where you can paddle and will make your paddling more efficient and effective so that you can play longer/harder. Are you ready to have more fun kayaking and become a better paddler? If yes, then a journey to the Mendocino Coast is in order. The Mendocino Coast is a paddler's paradise with quiet estuaries, magical sea caves, and fun surf zones. Located 3 hours north of San Francisco, the Mendocino Coast embodies the best of Coastal Northern California - a rugged coastline, breath-taking beaches, towering redwood forests, quaint towns, and a slow pace of life. 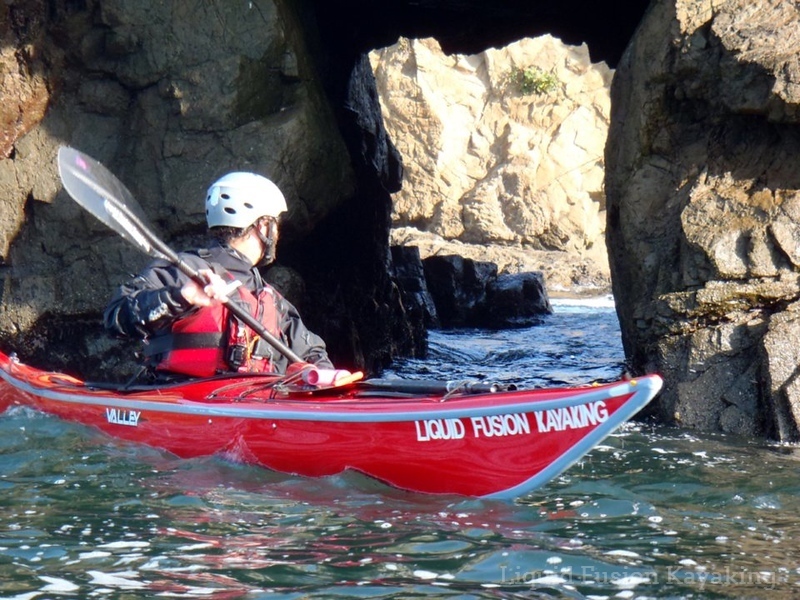 Liquid Fusion Kayaking's Cate and Jeff are certified whitewater and sea kayak instructors who live, play, train, teach, and guide in this paddling paradise. Their knowledge extends way beyond the usual kayakers hang-outs and encompasses the ecology and natural history of the Mendocino Coast. 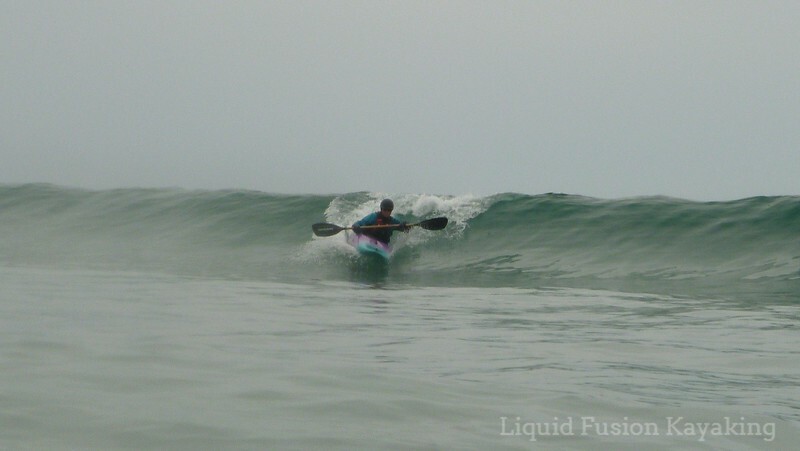 Here's a summary of Liquid Fusion Kayaking's summer classes. If you don't see class that meets your needs, call or email us to set up a private lesson or custom class for you (or you and your paddling pals). Whitewater of the Sea - Rock Gardening in whitewater kayaks is a blast!!! If you want to kayak and play in the ocean, then this is the trip for you. 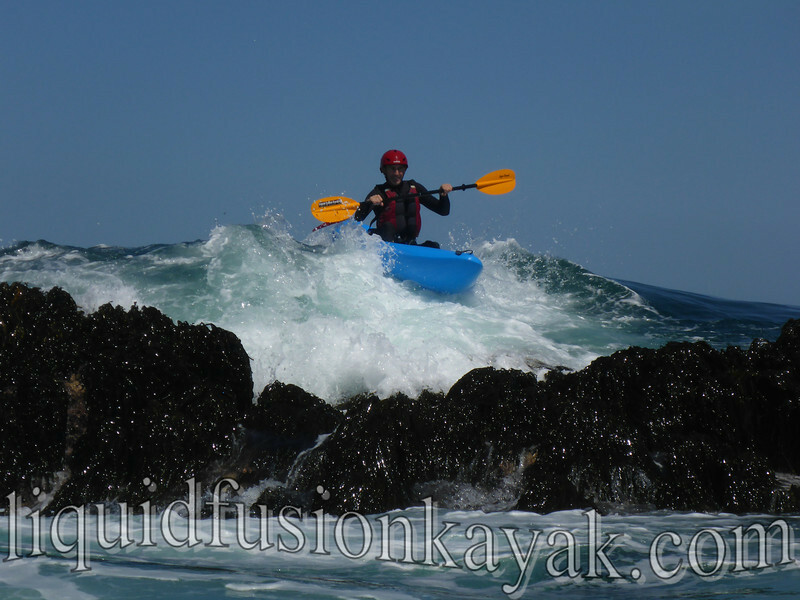 First timers through experienced kayakers have a blast on this trip where we kayak and play in the whitewater features of the ocean - riding pour-overs, surfing waves, and playing in sea caves. Essential Kayak Skills is the class that will get you the basics of kayak strokes, efficiency, and safety. This is a great first class for those that want to learn to effectively use body, boat and blade as well as what to do when you or your friend capsizes their kayak. 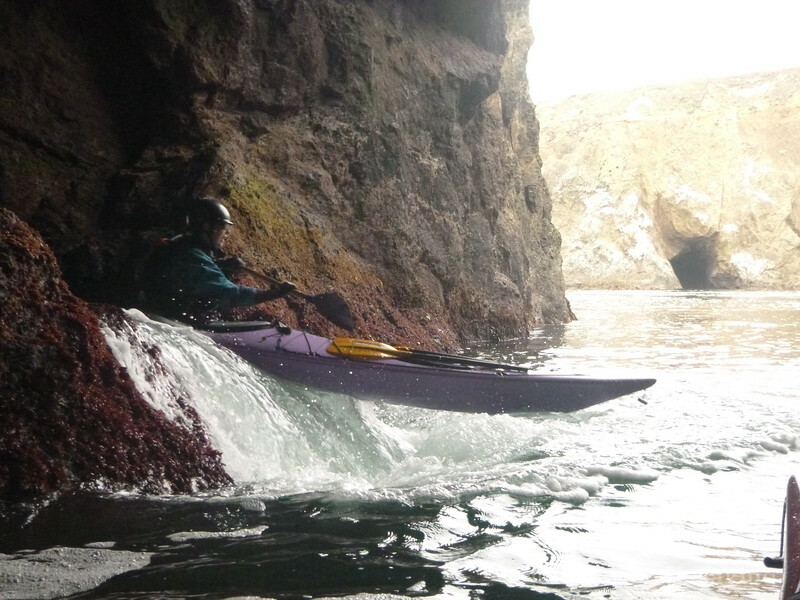 Rock Gardening Class - Learn kayak skills to kayak and play in the rock gardens and sea caves of the Mendocino Coast. Jeff and Cate have developed a systematic approach that will have you paddling confidently and comfortably in and around rock gardens and sea caves. This class emphasizes personal skills and skills for paddling as part of a group. 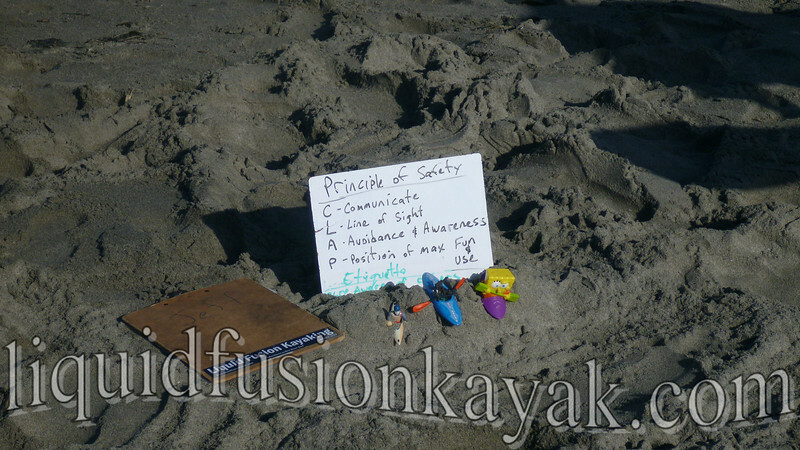 Surfzone FUNdamentals is 2 days of playing and learning kayaking skills for control in the surf zone. Once you learn that you can have control of your kayak in the surf zone then surf zones become fun zones for playing and even surfing. 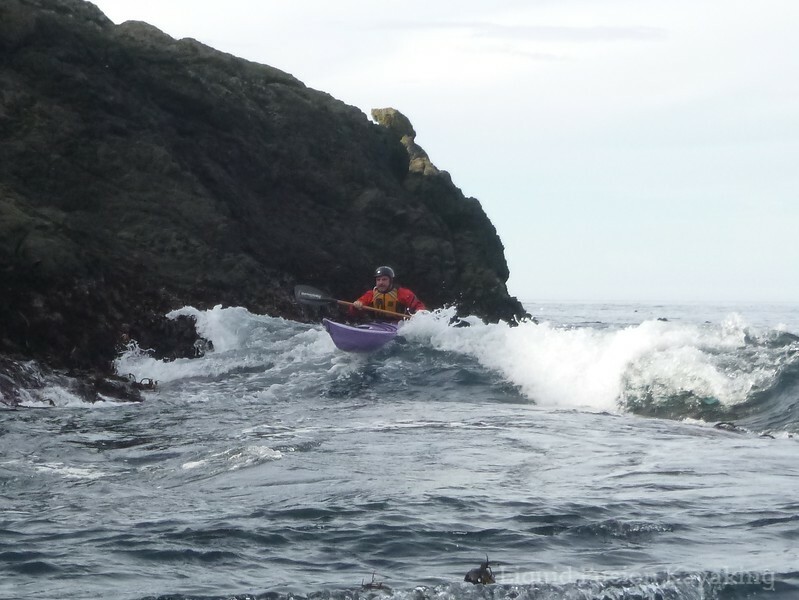 Performance Sea Kayaking is 3 days of focused sea kayak training. Have fun perfecting your boat control and rescue skills as we paddle in and out of sea caves and explore rock gardens. Precision Rock Gardening is for the intermediate to advanced paddler looking to improve their skills in paddling rock gardens. We will work on timing, specific strokes for rock gardening, running features with finesse and style, scouting, safety, rescue, and working together as a team. 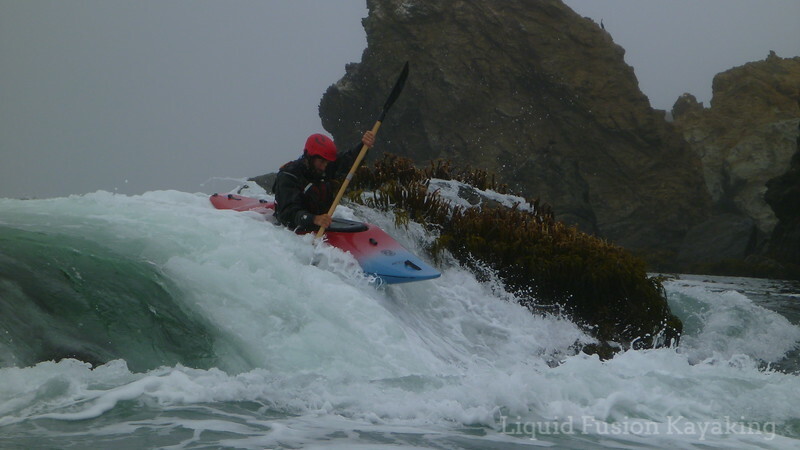 Mendocino Waves n Caves Kayaking Weekend - Want to experience the best that the Mendocino Coast has to offer? Join us Labor Day Weekend. On the water, we will play in the rock gardens and sea caves of the Mendocino Coast. We will share some of our favorite spots with you as well as guide and coach you on your rock gardening skills. Off the water, enjoy camping, campfires, and great food - featuring local Mendocino Coast specialties from land and sea (our fishing/diving and gardening talents). Lot of fun kayaking opportunities here. We are excited to share them with you. Give us a ring and let's get out on the WATER!! !